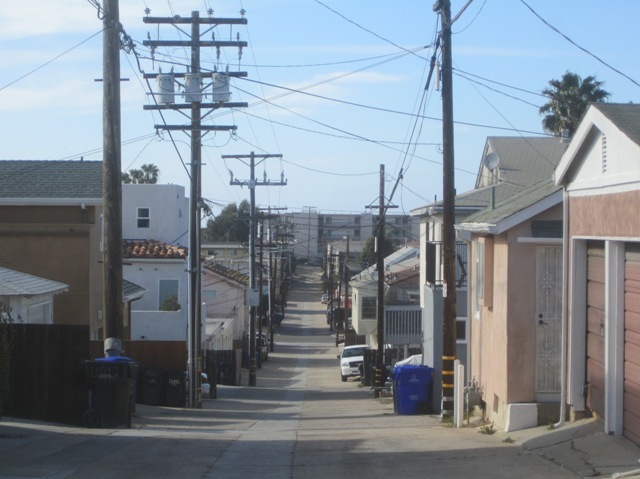 Looking west – north-west across District 6 and Ocean Beach from near the intersection of Froude and Coronado. Photo by Travis. 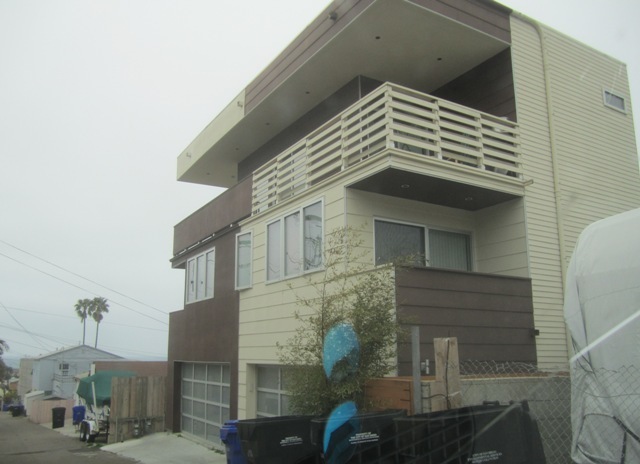 As we move south across the map of OB in our continuing series about the different planning districts within the Ocean Beach Planning Area – we come to District 6 – “The Hills of OB“. The review of this district is part of the OB Rag’s public education service to build support and knowledge of the upcoming OB Planning Board annual election on March 2nd, 2016. 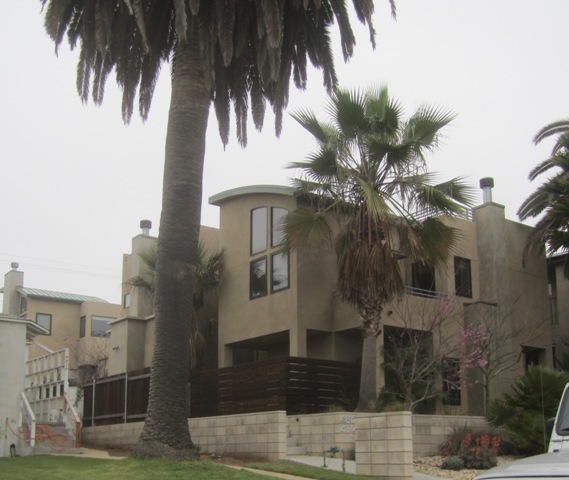 Stretching from the lowlands of Cable Street going east, District 6 immediately begins to climb up the hill – the hill of Point Loma – which is very steep at times, hence “Niagara Avenue” – and reaches the “peak” of OB at the intersection of Coronado Avenue and Froude Street. 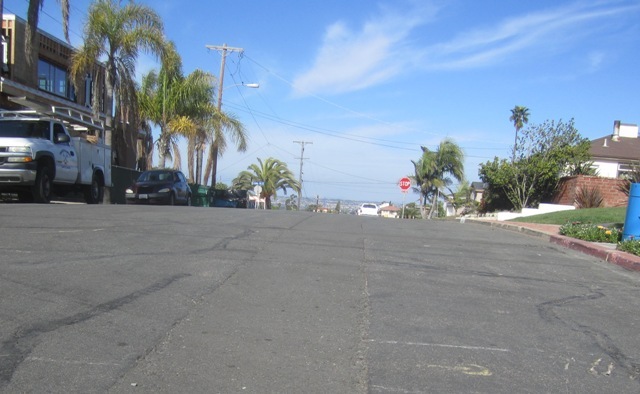 This is the highest point in “official” Ocean Beach – the geographical area of the community of OB that is recognized by the City of San Diego. And yes, other districts have hills, such as District 4 immediately to the north and District 7 to the south. 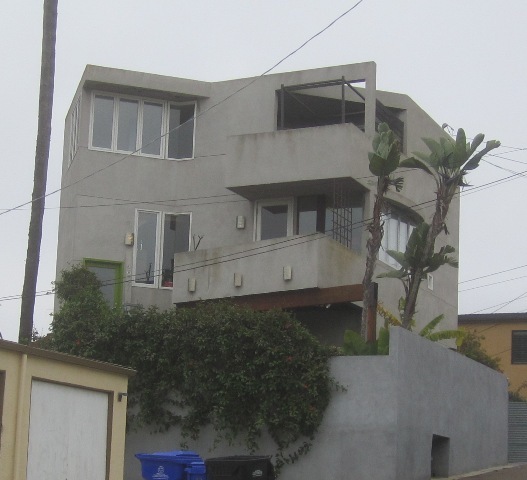 But District 6 is all hill – except that block between Cable Street and Sunset Cliffs – and even along Cable there is an elevation rise. On a map, the district is shaped like a large square. 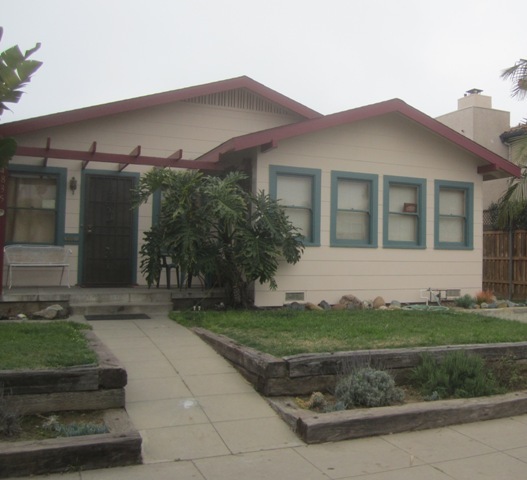 From Froude on the east to Cable on the west, it includes the avenues of Niagara, Narragansett, Del Monte, Santa Cruz and Coronado in all the mountains of their 4700 and 4600 blocks – of these wide avenues that go straight up the hill. 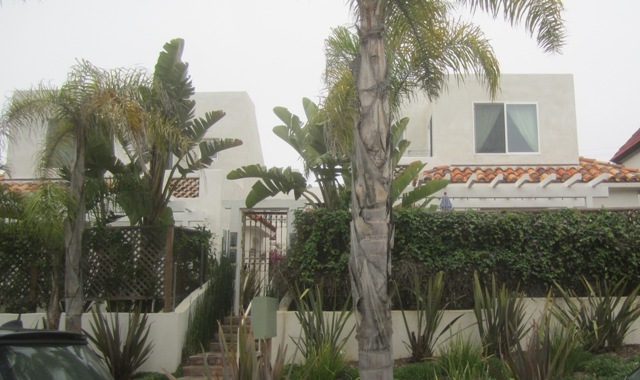 The district also contains the major street of the community – Sunset Cliffs Blvd – plus the feeder streets that locals use – like Ebers and even Cable -. Because District 6 is mainly hills – Views (with a capital “V”) and view corridors are – and always have been – significant issues. 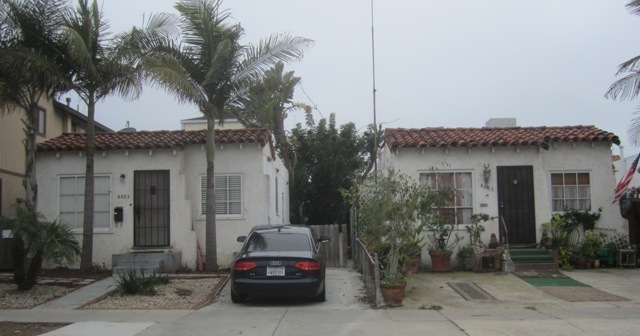 Protecting views from the encroachment of neighbors as they exercise their “property rights” in building up, and then deciding on whether to go higher oneself – has for decades created a tension within the area. Part of that tension is related to the class base of the district. 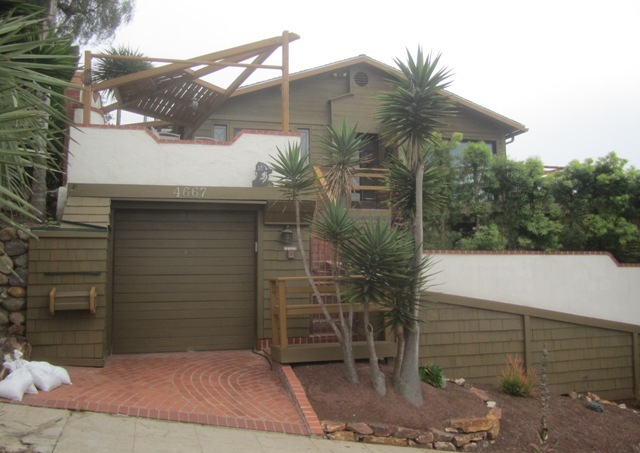 It doesn’t take one long after observing the housing stock of “the Hill” of OB to understand that the folks who live there are – on average – of a higher economic stratum than most of the rest of the community. They have to be in order to pay for those views. Professionals and retired professionals live here, people with money and connections. 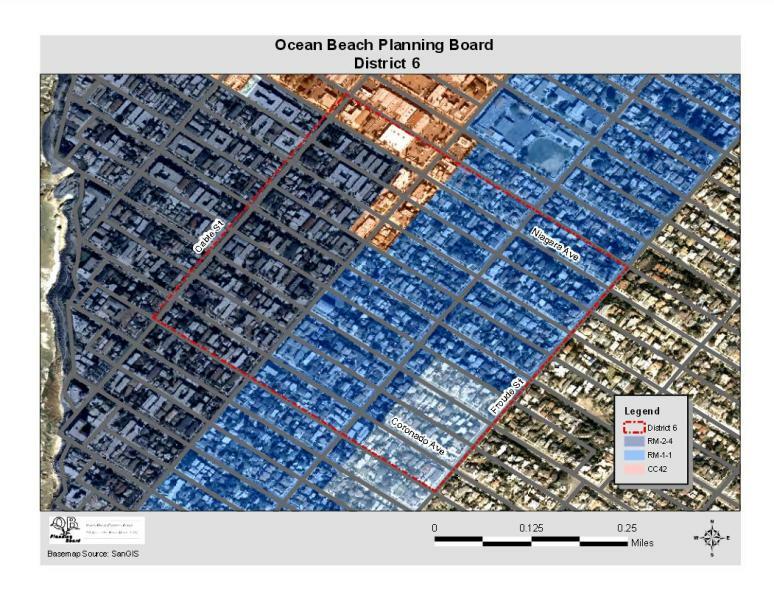 This district is the upper echelon in any diagram of OB’s economic classes. Primarily residential – with many large houses recently rehabbed or built -there is a rich diversity of the housing stock, a few near-century old Craftsmans (very few actually remain), cottages from the Thirties, stuccoes from the Fifties, a few neo-Spanish, a handful of older apartment buildings, 60’s apartment blocks, and remodels and rehabs from the remaining decades. 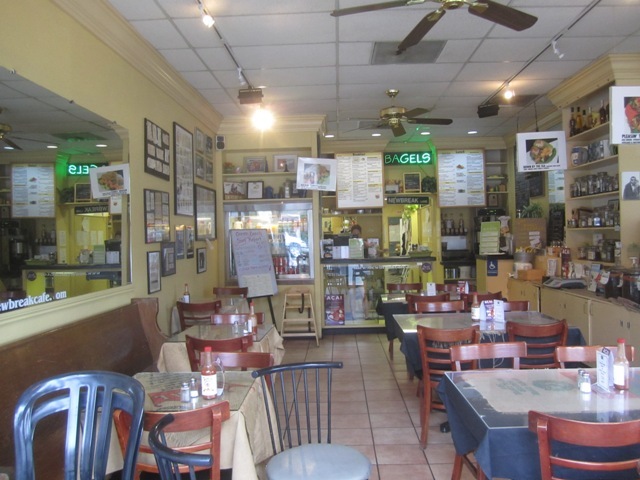 The district does have some businesses – the spill-over from Newport. 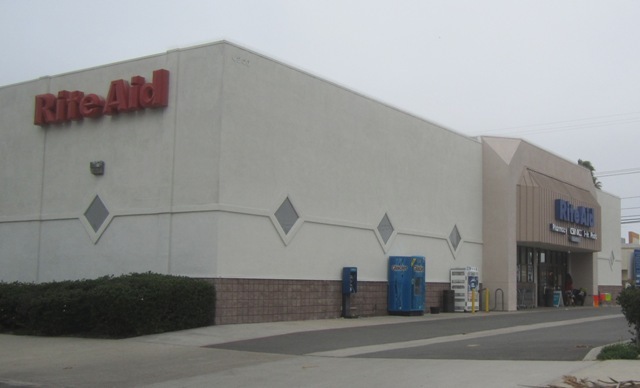 And because the district goes to the alley between Newport and Niagara, its businesses include on of the largest corporate enterprise, Rite-Aid. There is a substantial density change as you go up the hill starting from Cable – from the congestion of the flatlands to the sparsity of the incline. 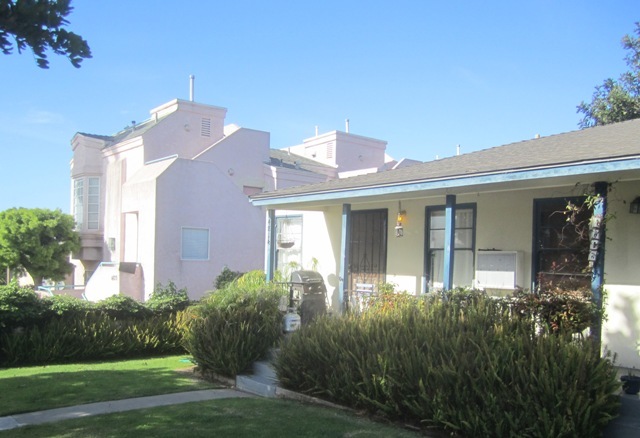 Many large apartments were built in that 4800 block of all those streets of the district during the Fifties and Sixties – the days before community plans, planning boards, height limits, floor area ratio requirements or set-back requirements. 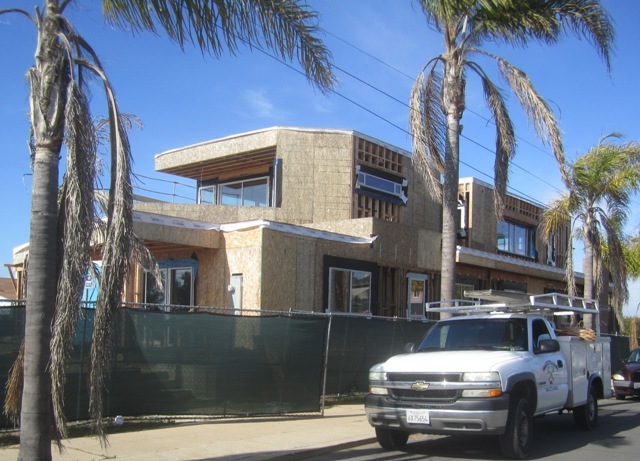 So on Niagara, Narragansett, Del Monte, Santa Cruz and Coronado, you will see the remnants of that era – the era of unbridled apartment construction in OB and throughout the coastal zone of San Diego. 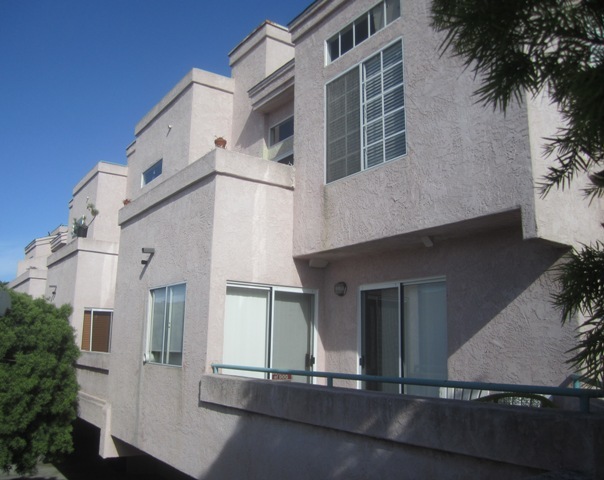 Also note that there are very, very few apartments east of Sunset Cliffs Blvd. 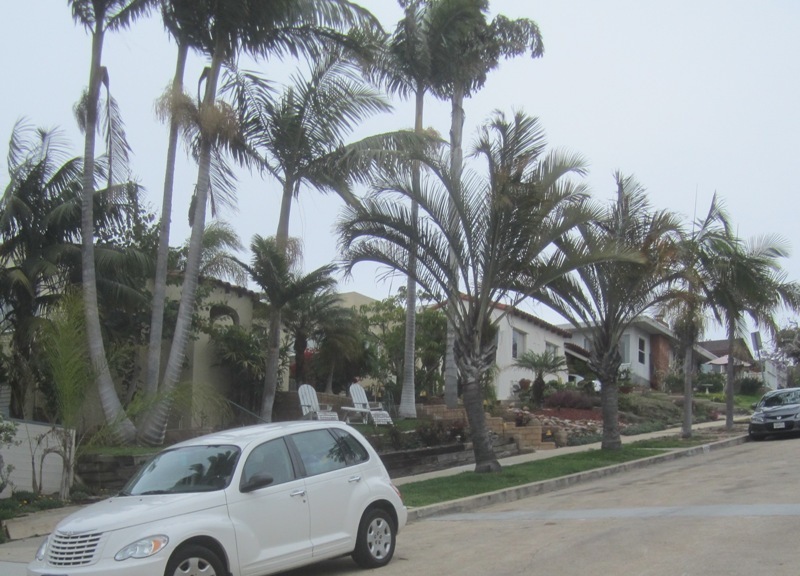 And along with the apartments come off-street front parking lots with massive curb cuts. 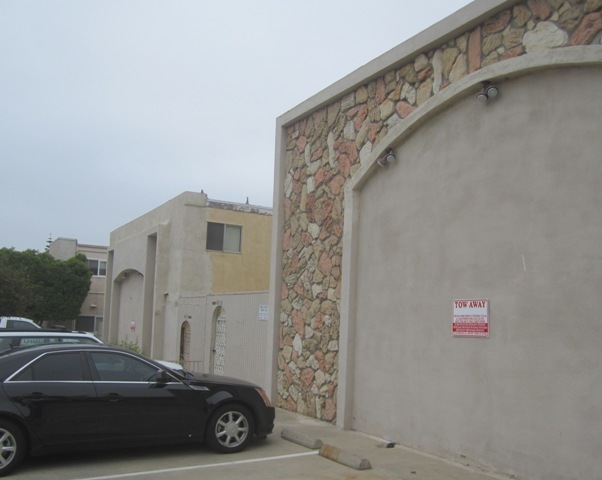 You try to find a parking space at night in the 4800 blocks – it’s a real challenge. 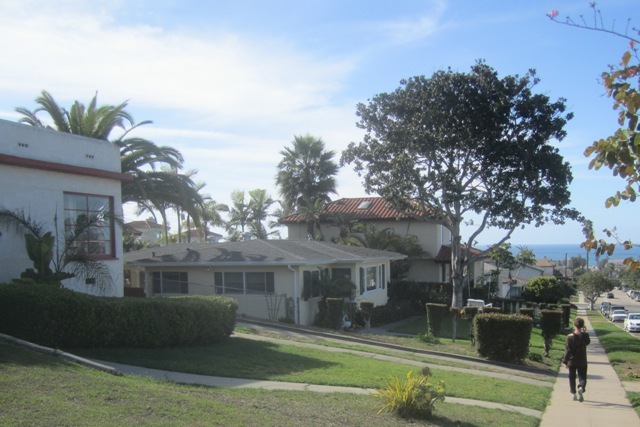 The traffic, parking, noise and the blocking of coastal access and views – and other problems related to the congestion that resulted from all the apartment construction – fed into the urban planning crisis of San Diego’s beachfronts in the late Sixties and early Seventies. 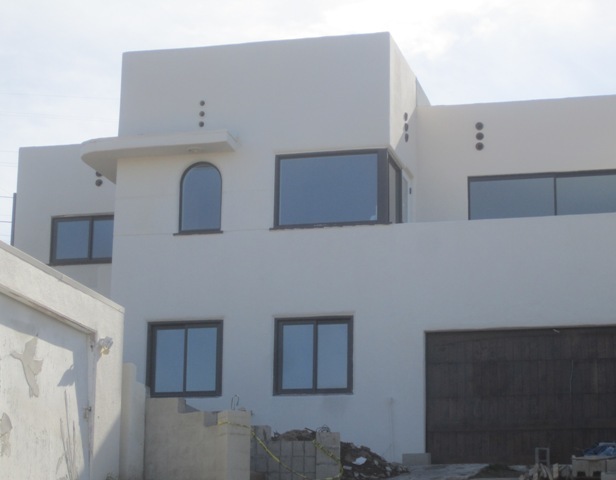 Part of this crisis was the “walling-off” of coastal access by apartments being built right on the cliffs and right on the beachfronts – and effectively blocking views, view corridors – visual access – and physical access – to a public resource, guaranteed to all. 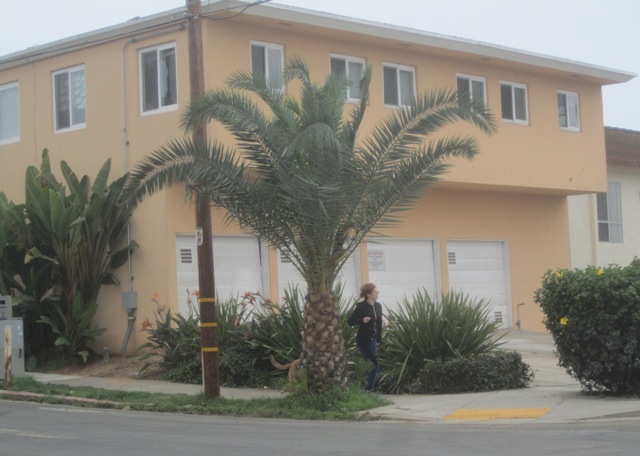 The planning and over-development crisis helped fuel a grassroots resistance to the rampant and unrestricted construction and led to such things as San Diego’s 30 foot height limit, the California Coastal Commission, and OB’s planning committee itself. The rest is history, as they say. Which leads us back to viewing how people live in District 6. Sitting alongside the apartments are much newer stylized condo complexes, which is in turn next to an oldie-but-goodie wood house built maybe in the Twenties. 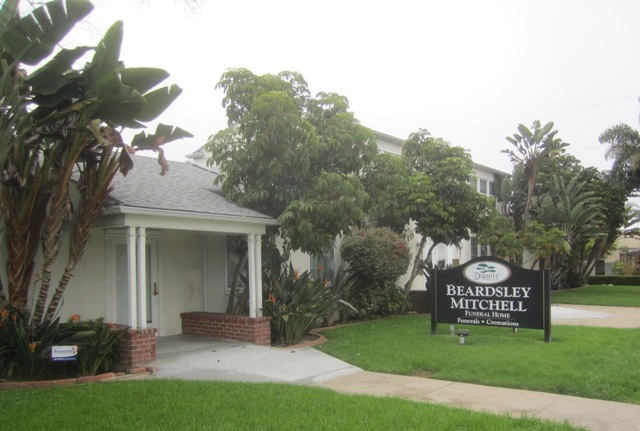 There’s definitely a mix of housing here in this district, and next to the older stock are giant rehabs with expensive landscaping. 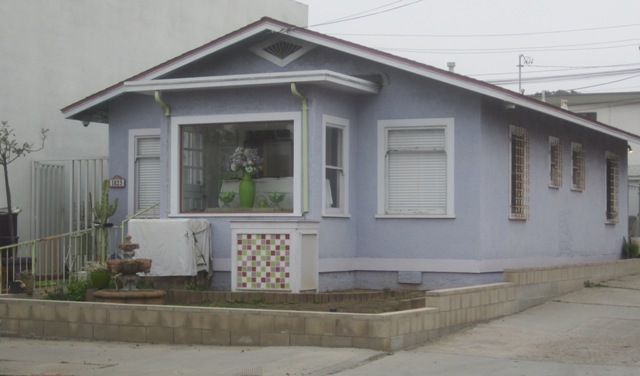 You’ll see houses that will make you wonder ‘how the heck did that make it past the planning board?’ because they stand out so much, and look out of character – compared to the remainder of the block. Of course, this changes as one goes up the hill. 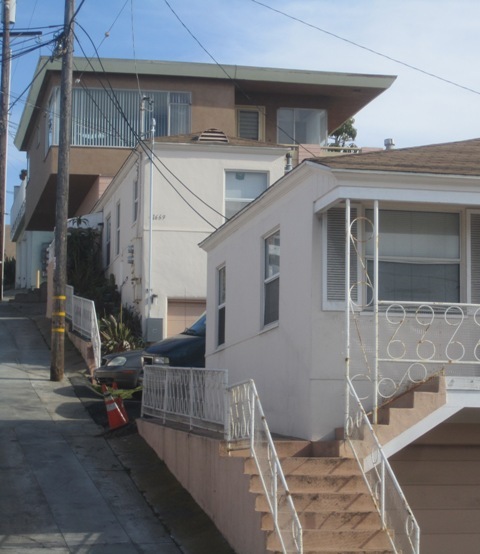 Massive houses, two and three stories have taken the place of older single-family homes demolished in the name of progress – as the streets head up the incline. 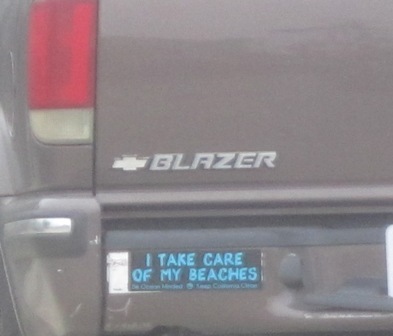 There’s no more beach shacks here, no sirree. 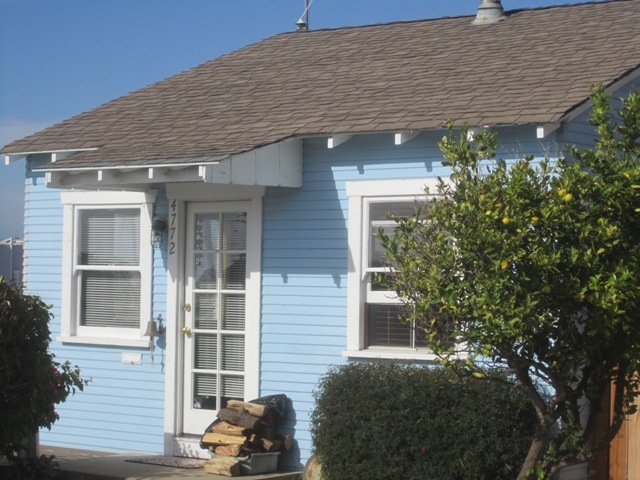 Here and there are still cottages and small, wood-framed, cozy-looking craftsman-type abodes. 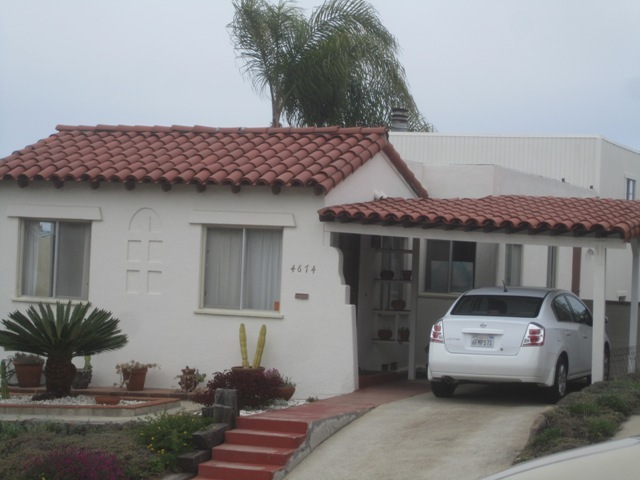 And a lot of those single-story Fifties stucco houses. There’s still quite a diversity within the district. Take a look at the diversity of District 6. 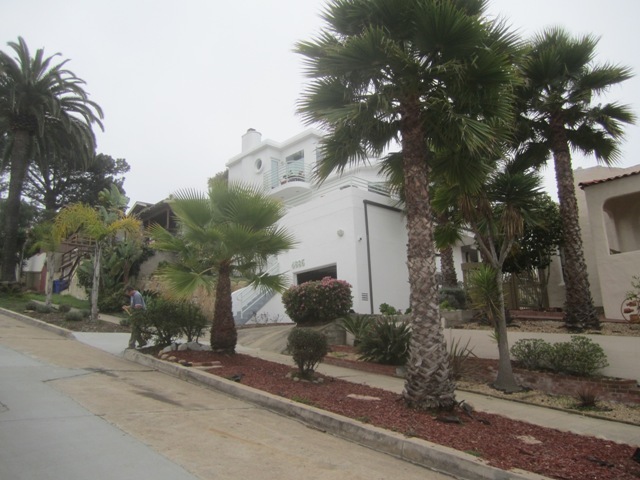 An older apartment building on Sunset Cliffs Blvd. 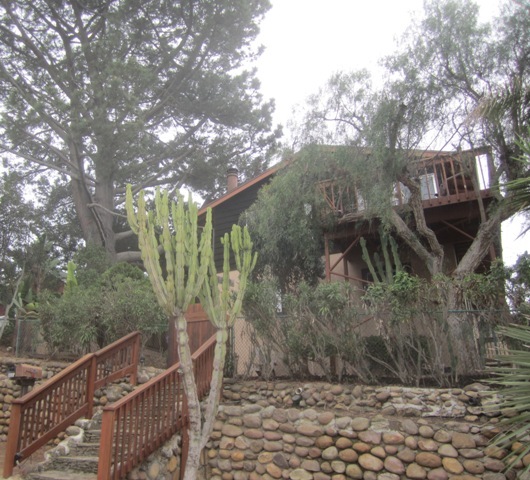 This grand old house on Niagara is under a huge Torrey Pine. Some funk is still around. And now, let’s get back to business – the business of the district. 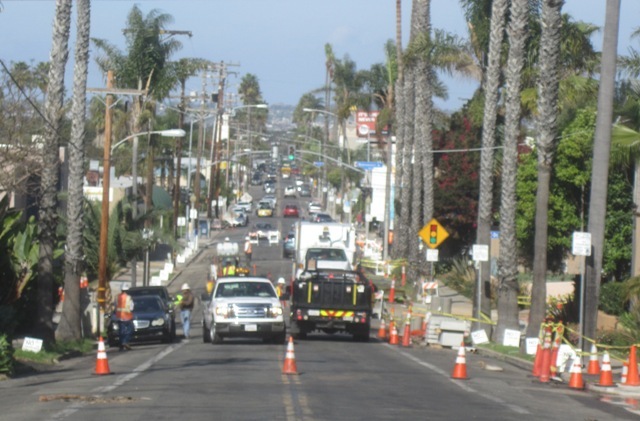 Here – looking north along Sunset Cliffs blvd towards the District 6 business area – often these days traffic is rerouted due to new pipe installations. 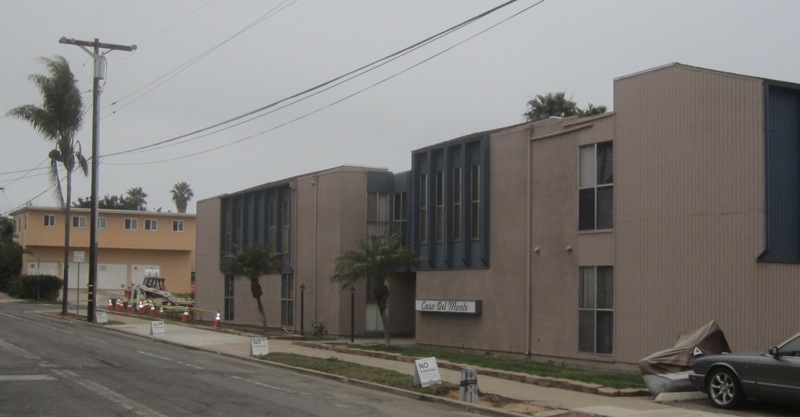 Hugging Sunset Cliffs Boulevard for about two blocks is what has become a rejuvenation of commercial enterprises along that section of the main drag. Compared to what this area was like – say in the Sixties and Seventies – the new business mini-zone has changed that entire slide of the boulevard – for the good. 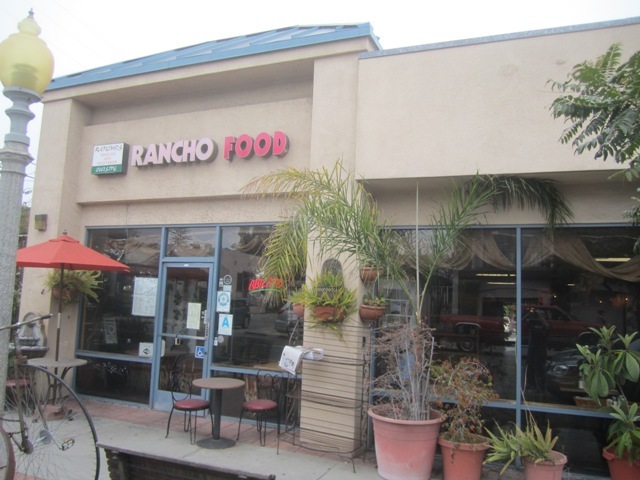 Several small businesses are here; a car repair shop, a mortuary, a nails store, the market of all small markets – Olive Tree, dry cleaners, a new pet-specialized enclave, professional offices – dentists and realtors, and a very vibrant OB “restaurant row” with Rancho’s, Pepe’s, Newbreak, the Donut shop, and the Thai Bistro all in one long building – on the same site where the old Dennys used to be. 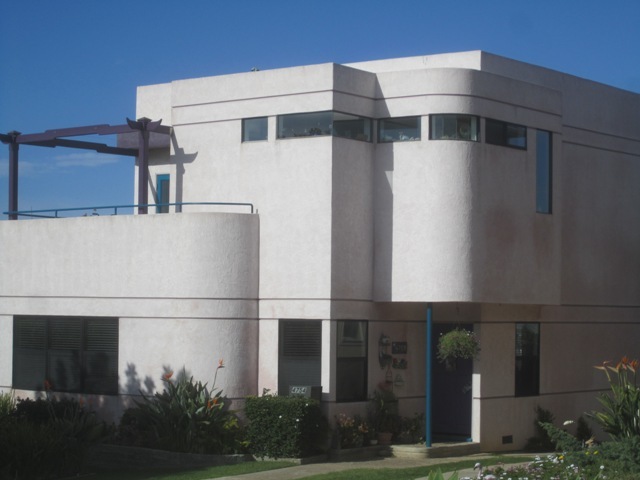 The original Newbreak on Sunset Cliffs Blvd. 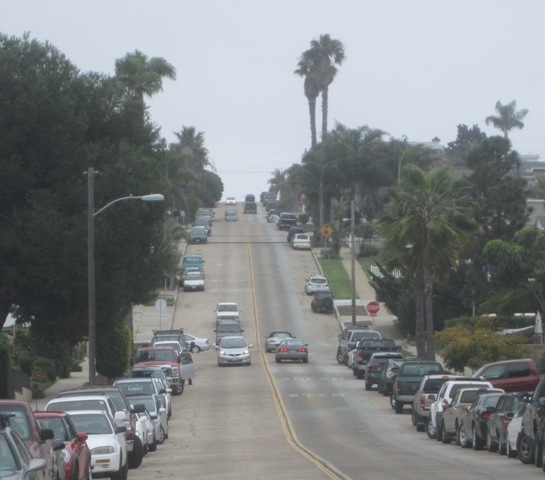 The intersection at Sunset Cliffs and Narragansett is one of he busiest in the neighborhood – and certainly the district. 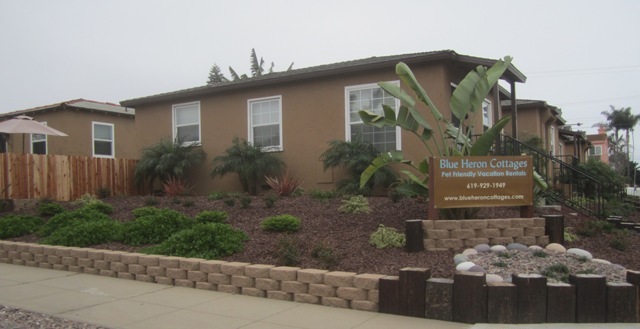 All of a sudden, there’s an enclave specializing in pet care and grooming at this intersection – what with the recent arrival of Bone Appetite coming in from Newport into the former dry cleaning place – and next door on the other side to a pet grooming shop. 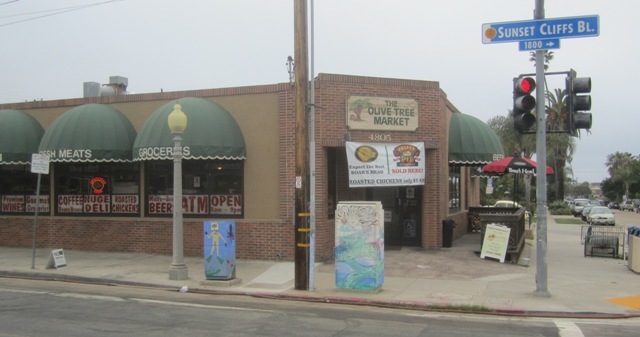 Across the street, Chris Stavros – the owner of Olive Tree market – has single-highhandedly renewed that entire building where his market is located, and now he and his spouse operate not only the store, but a beer-tasting room and now the new Expresso pizza place. Okay, it was all possible because his family owns the building. 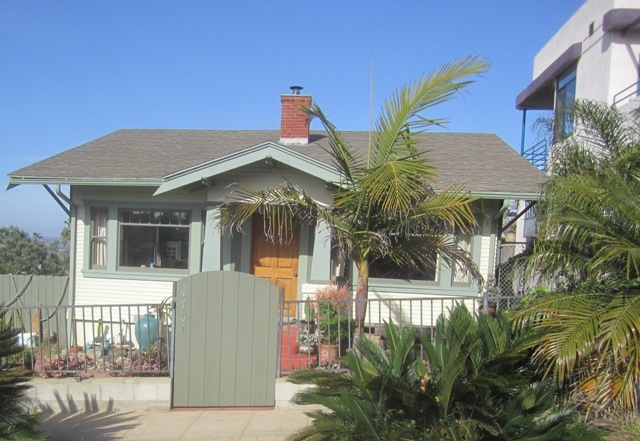 But just the same – it’s a new era for that whole side of the block. 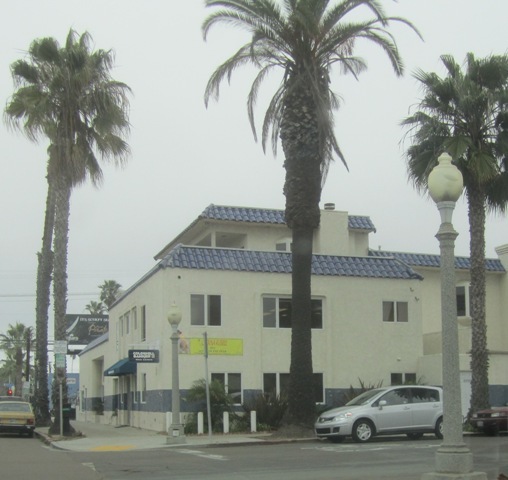 That place before Chris took it over was a barebones corner market that hardly anyone used. Once he did take it over, it was successful. 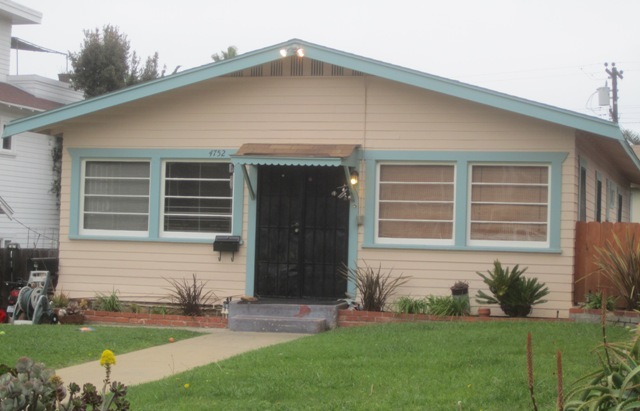 Then – we understand – he sold it, but the new owner didn’t have the magic and Chris bought it back. We’re glad he did. It’s a quality market – not cheap – but very reliable with a great sandwiches, a huge stock of wine, and friendly staff. 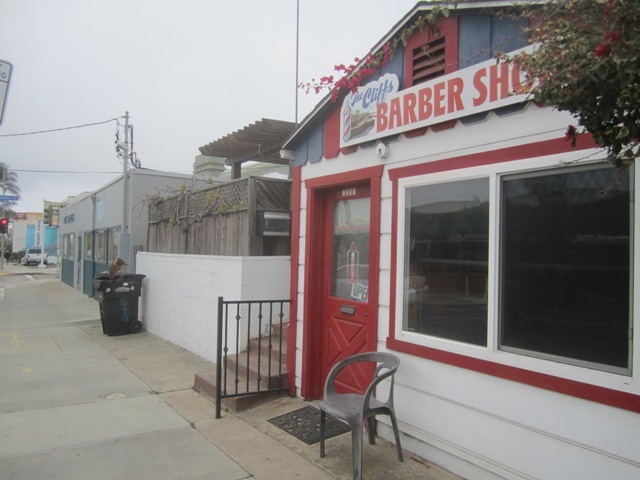 Jean’s thriving barber shop next door used to be on Newport and moved to its present location sometime around the mid-Nineties. 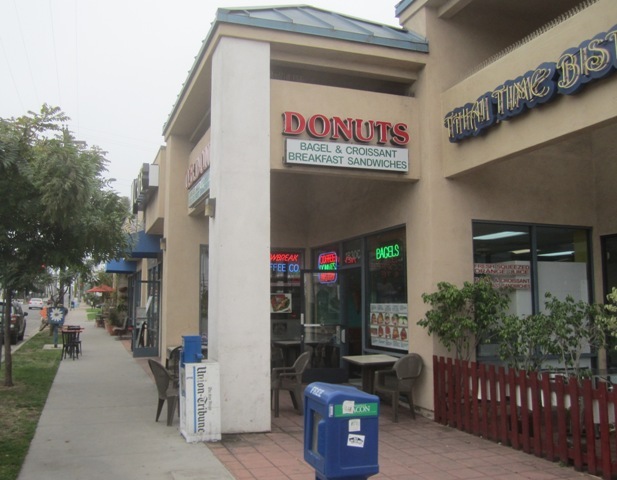 There are a few small business along the mini-zone on Sunset Cliffs Blvd. Professional building at the corner of Cable and Niagara. 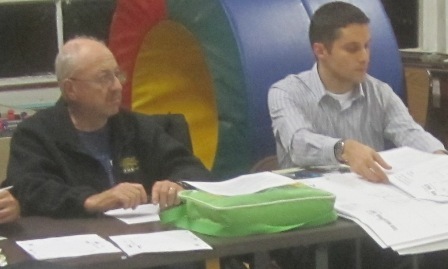 Tom Gawronski, on left. That’s Pete Ruscitti on the right, who represents another district now. 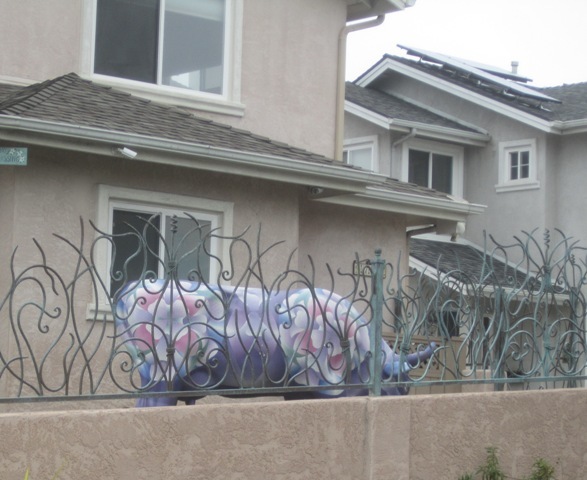 John Ambert – probably moving to the district where he resides. He had been appointed to this district seat a few years ago. The two planning representatives for this district have been the very able Tom Gawronski – a former chair of the Board and one of its longest serving members, and John Ambert, the current chair. The seat that Ambert currently holds is up for election this March. Ambert will probably run in the district where he now resides. 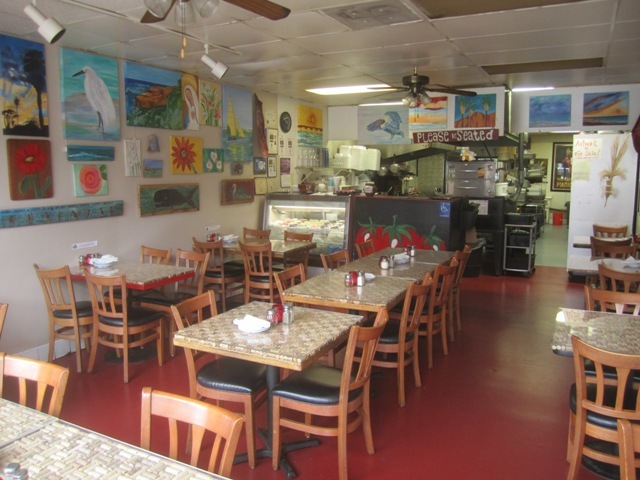 Gawronski’s seat will not be open for another year, March of 2017. 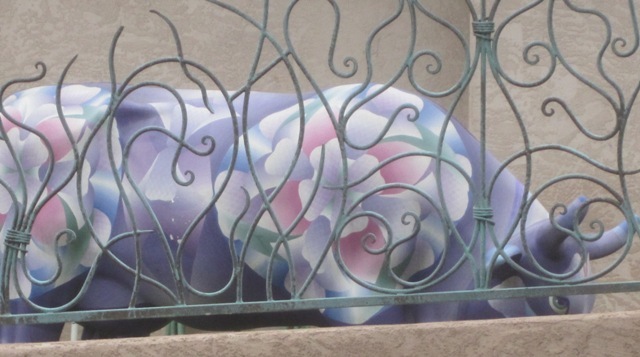 The “Painted Cow” of Del Monte Avenue. 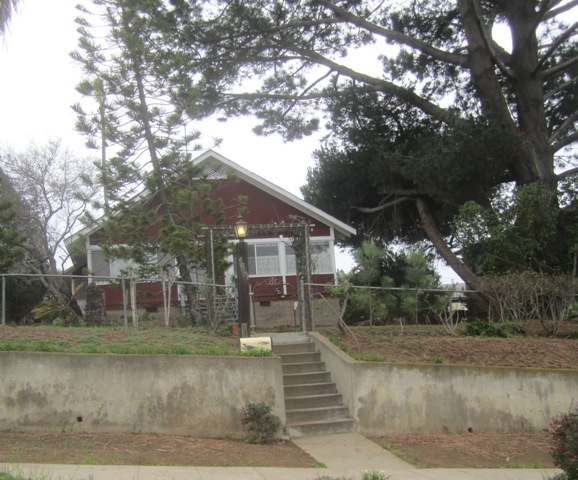 This cottage on Sunset Cliffs Blvd was turned into an art gallery. 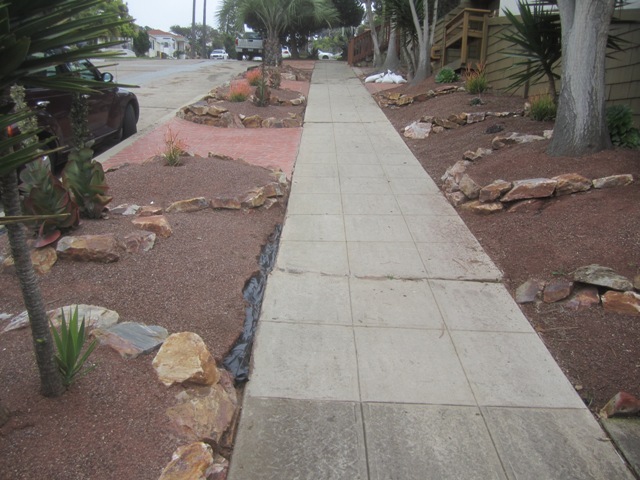 Some take it upon themselves to landscape and decorate the public right of way next to their property. 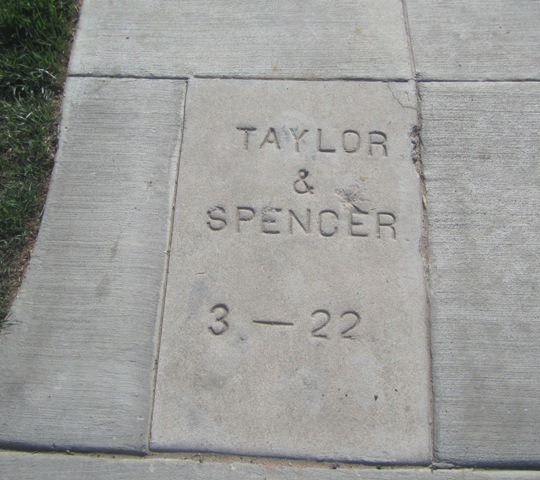 And speaking of sidewalks, for a while the Planning Board ensured that when old sidewalks were torn up and replaced the concrete stamp of the original sidewalk company would be preserved, such as this one from Taylor & Spencer, installed March 1922. 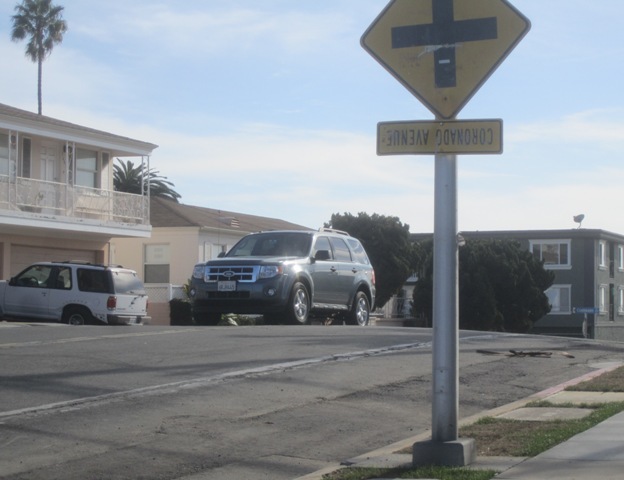 District 6 has some of the more dangerous intersections due to its hilly nature – especially along Sunset Cliffs Blvd at Santa Cruz and at Coronado. Years ago when I was on the Planning Board, we were able to get the City to install a warning light near these intersections. It was better than nothing but we pushed for a signal light. At times, it does takes civic action to get the City to install cross-walks, street lights, stop signs and signal lights. 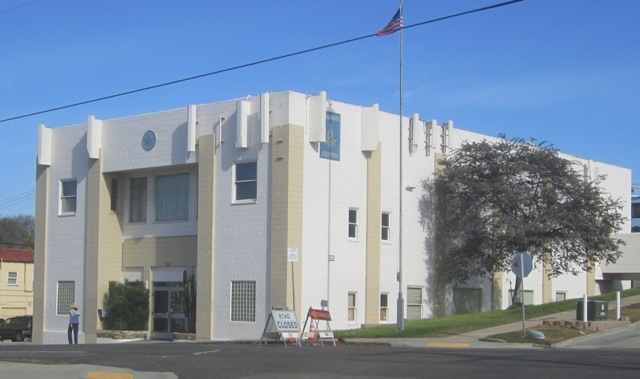 The Masonic Center – is a community resource and institution. 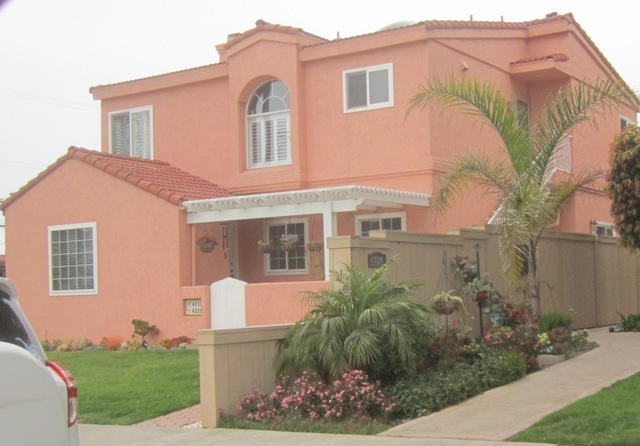 Vacation rentals – dog-friendly – have taken the place of small cottages that used to be peoples homes. Is this a new trend? 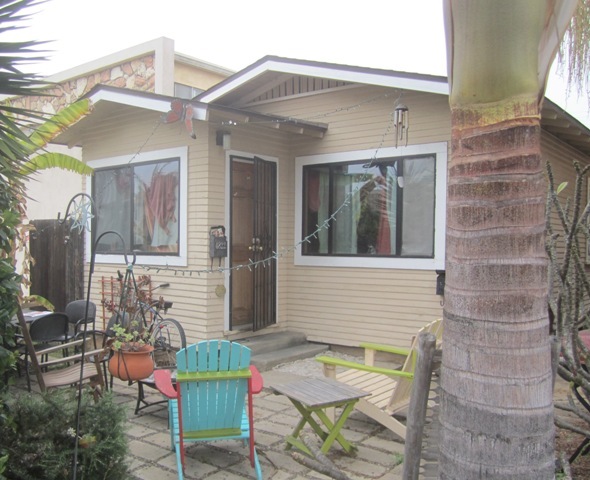 Or are vacation rentals always been part of OB? 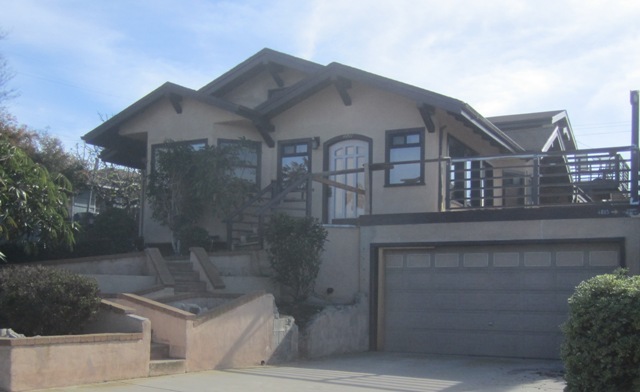 A house on its perch overlooking the village along Niagara Avenue – the steepest hill in OB.